NDuR's Mini Compass with Thermometer is great for anyone's survival bag to help one if the situation arises where they are separated from their group, lost their way on the trail or find yoruself in a dire drastic survival situation. Compass Thermometer Wind chill table Can be attached to keychain, zipper,sleeping bag, backpack, etc. 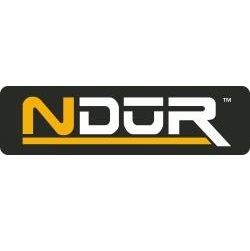 NDuR SURVIVAL Matches are windproof and waterproof and will burn even when wet! They are the very best NATO approved matches available. Designed to light in all extreme types of weather, they can withstand immersion in water and cannot be extinguished by wind. Match head burns for 12 seconds. Approximately 25 matches in each sealed flip top tube. Supplied with cotton wool tinder and striker. High pitched signaling whistle. NATO approved. One piece construction with lanyard hole. Bright Orange. Ideal for Survival Kits. NDuR STORM Matches are windproof and waterproof and will burn even when wet! They are the very best NATO approved matches available. Designed to light in all extreme types of weather, they can withstand immersion in water and cannot be extinguished by wind. Match head burns for 12 seconds. Approximately 25 matches in each box.